Every year I spend days and days baking cookies and gifts for friends and neighbors. This year I wanted to try something new. This gift is easy to throw together, is super affordable, and it is made possible with my two favorite kitchen appliances. I received compensation and samples for this post, all ideas are my own. 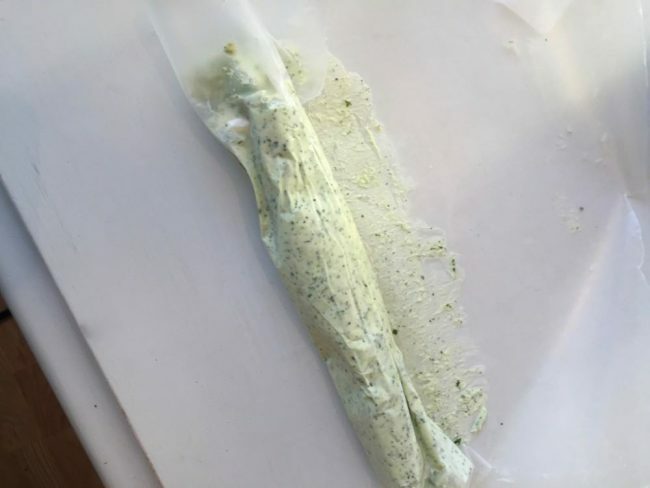 Have you ever tried flavor infused butter before? They are a gorgeous addition to any party spread, look fancy, but are easy to make. Sounds too good to be true, right? The basic rule is if you like the way a combination tastes, you can make it into a yummy butter. 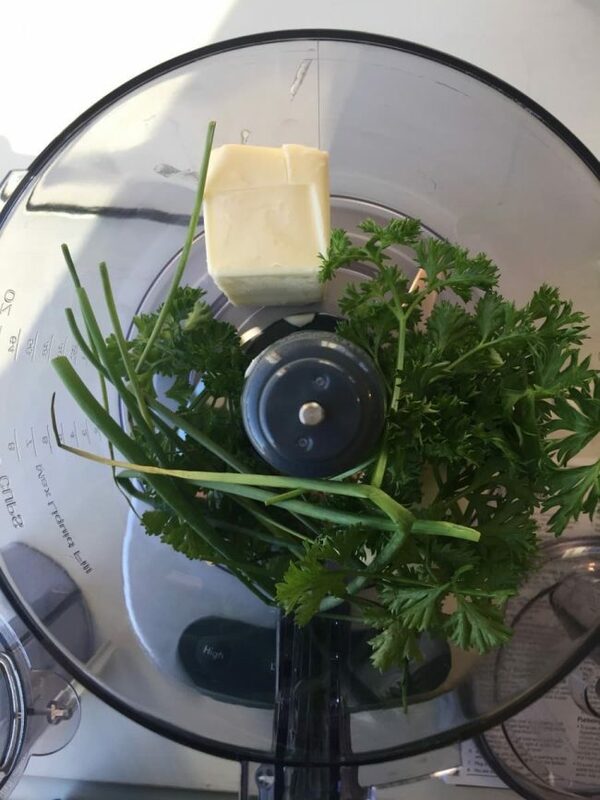 Today I will show you how to make four different infused butter flavors using my Cuisinart Elemental 11 Food Processor. 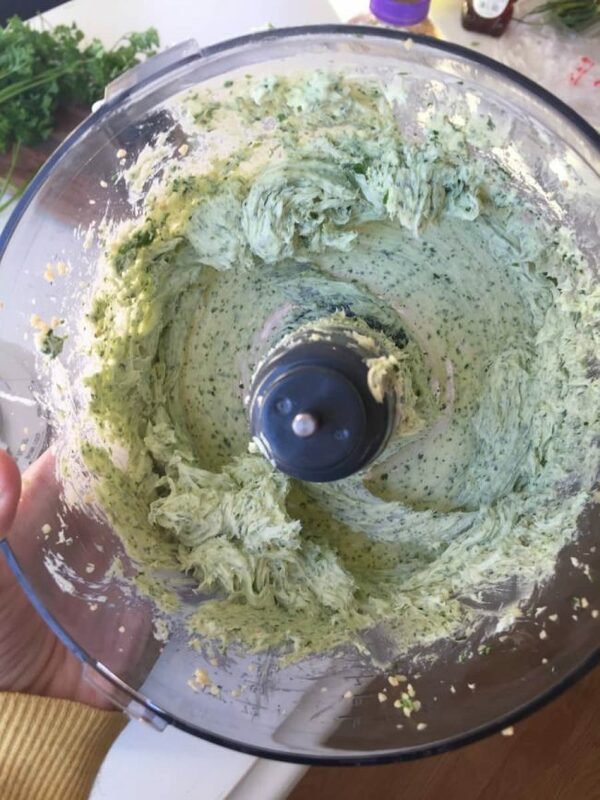 This food processor is pretty amazing. It comes with 11-cup work bowl, Supreme® wide mouth feed tube, 1 steel chopping blade, and a reversible shredding and slicing discs. Its large size makes it easy to make big batches of recipes for large portions or bigger meals. It has a rubberized touchpad with Pulse control making it a cinch to use in many different ways. My favorite feature about it? All the pieces, except the base, are top rack dishwasher safe. Hello, easy clean up! Make sure you get your butter out so it is nice and soft. Add the two sticks of butter and the rest of your ingredients to the food processor. Run the processor on low until it is smooth and all combined, I stop in the middle and scrape the sides. Scoop out your butter on to a sheet of wax paper. Fold the paper in half and shape your butter into a log rectangle or tube. 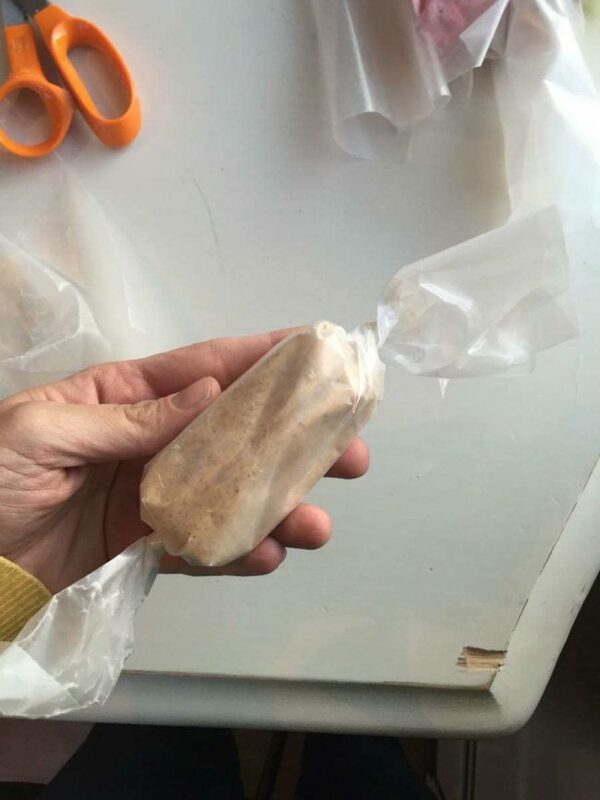 Roll the wax paper around the butter completely and put in the refrigerator to let it get firm. While your butter is setting up, preheat your Chef’s Convection Toaster Oven. When I picture toaster ovens, I think of the one my grandma had on her counter. It was small and she literally used it to make toast. I could never figure out why she had a toaster and a toaster oven. This is NOT that kind of Toaster oven. You can make toast in it, but it has 15 different cooking functions. It is big enough to hold a 13-inch pizza, 9 slices of bread, a 9″ x 13″ baking pan or even an entire 9-pound chicken! It has an Exact Heat™ sensor that maintains its precise oven temperature, and Always Even™ Toast Shade Control offers consistent results. 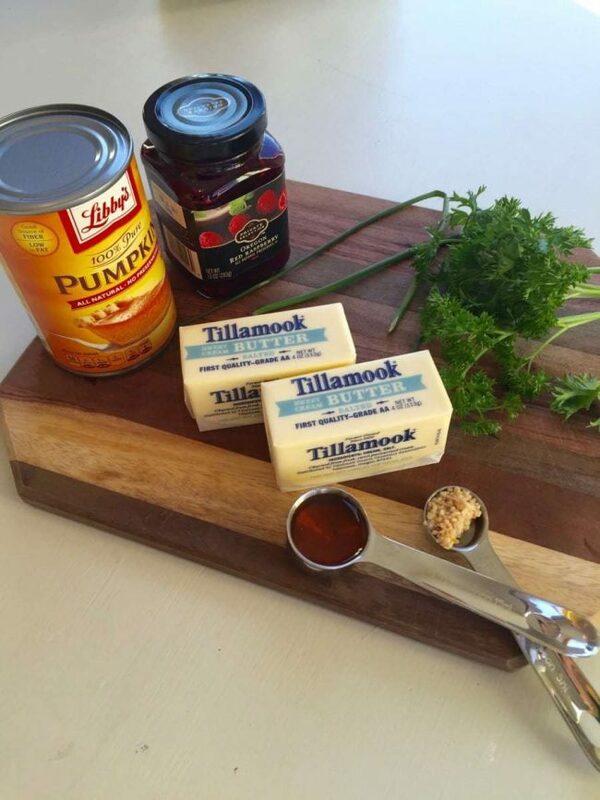 I use it all the time for lunches or appetizers, but I find I use it most on nights when I am making a big dinner. I can roast veggies or meat in my oven and still get my brownies baking in the toaster oven for dessert! So handy to have. It heats up fast and is very easy to learn how to use. Now, what is better with butter than freshly baked bread? I would love to say I made these wheat loafs from scratch, but this year is about simplifying. Instead when my Chef’s Convection Toaster Oven is ready for baking I threw in two frozen multigrain bread loaves to bake. 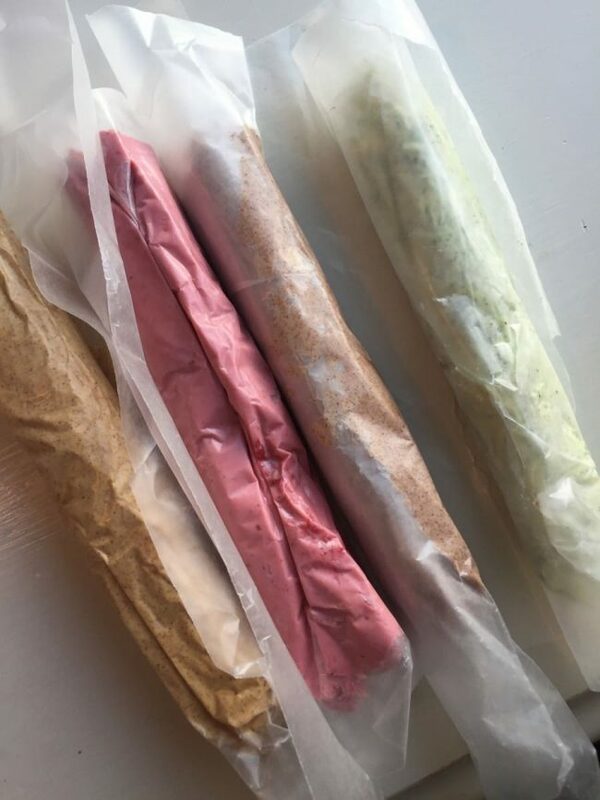 When your butter is set up, cut it into desired size and wrap the individual pieces of it in wax paper, twisting the ends like candy wrappers. Next, I added a small card that says what type of butter it is and lists serving suggestions. 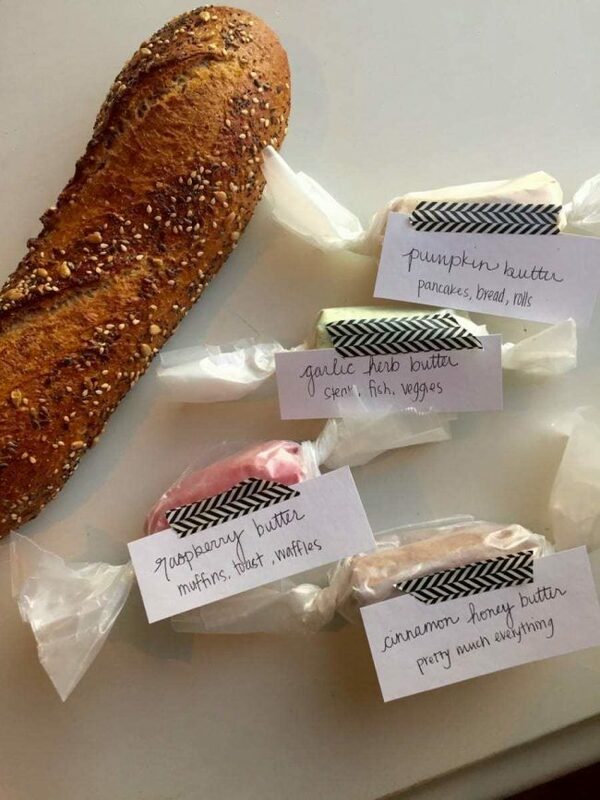 Grab some washi tape and stick the card right to the outside of the butter. 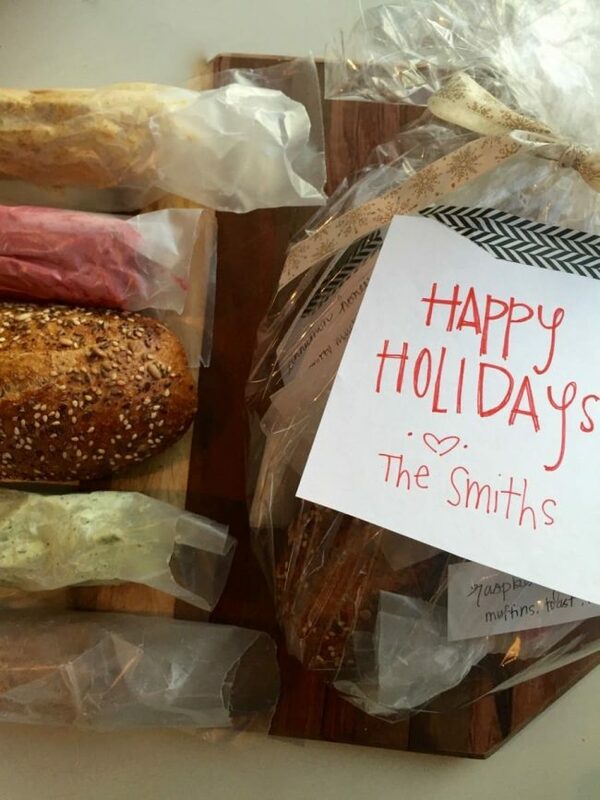 Gather your bread and butters and wrap them up in some cellophane. Tie it with a festive ribbon, add a tag, and you are ready to deliver them! You could also package the butter in small jars and put everything in a basket. The options are endless. This neighbor gift is ideal because with the help of the Cuisinart Elemental 11 Food Processor and Chef’s Convection Toaster Oven you can make large batches quickly. These recipes can easily be double or tripled in your food processor, no problem. What are your favorite things to make in your food processor or toaster oven? That is a really thoughtful and easy gift to make. I love the idea of giving something homey to your neighbors. What a nice idea. I bet these taste amazing! I so need to learn how to make different butters. These butters look for good! I really want to try the cinnamon honey butter. I have never heard of it before and I love that flabour combination. I have never made flavored butter before but I need to. It would be so good on bagels! This is a nice change for gift giving. I love the idea of making flavoured butter. I will be trying this out. Those flavors sound amazing! I love this idea! I would have to make some for myself too of course. 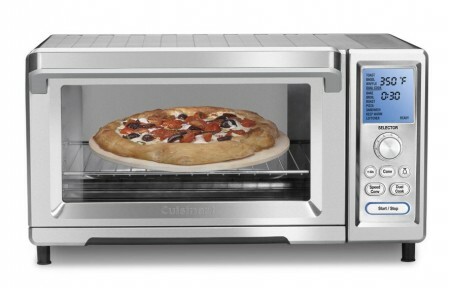 Love all of Cuisinart’s products,such good quality! These butters look amazing and are perfect for this time of year! I don’t have a food processor. I wish I did, especially seeing this. I’d love to make this type of bread it would be a hit! I had no idea making butter was so easy! I would use that raspberry butter on everything! My favorite things to make in the toaster oven is grilled cheese sandwiches. They are my favorite comfort food. This is such a great idea! You can make something for everyone with the many options you provide. I love your Cuisinart appliances too. I think my food processor is ready to give out (I use it ALL the time) and I’ll have to look into Cuisinart. How fun! I should try do this for our family for christmas. It would be a fun surprise. I use my food processor to make peppermint bark. It’s a lot easier than crushing the peppermint by hand. 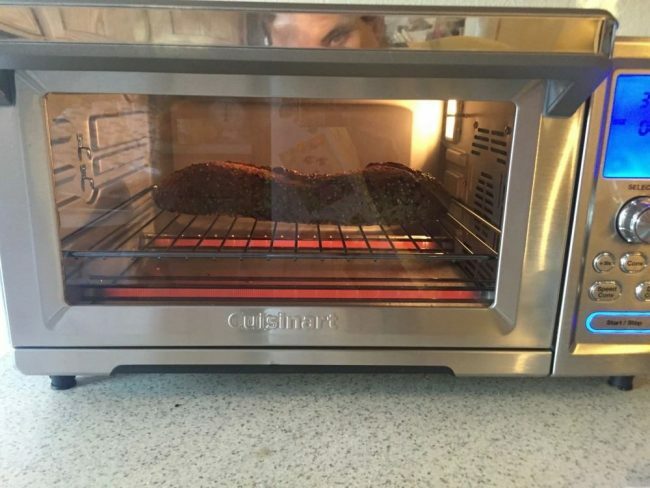 We use our toaster oven every day but, I need to get a new processor. What a great gift! That sounds delicious. I don’t usually do anything for my neighbors, but I always bake stuff for my kids teachers and bus driver.